You may remember my previous post about my submission to the Love Your Lentils contest, sponsored by Canadian Lentils. 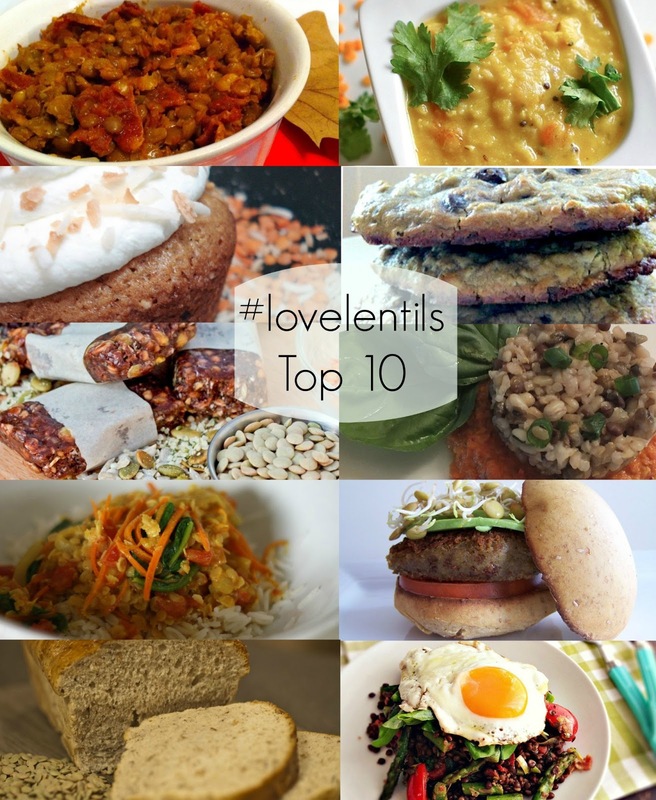 It was a contest with two segments and I participated in the blogger portion, which was a challenge to come up with "innovative, creative, and totally cool lentil recipes...that could become staples on any family dinner table." The grand prize was a trip to Saskatoon to spend a day with Chef Michael Smith. The top 10 recipes were voted by the public, and the winners were chosen by Michael Smith and his staff. The winner were announced last night, and while I'm disappointed that I'm not heading to Saskatoon, I am so pleased to have taken part. We love my new lentil burger recipe, and I really "felt the love" from all my friends, family, and readers. I wanted to take a moment to recognize all the bloggers whose recipes made it to the Top 10. Congratulations to all of you for writing original recipes that make use of a healthy Canadian pantry staple!